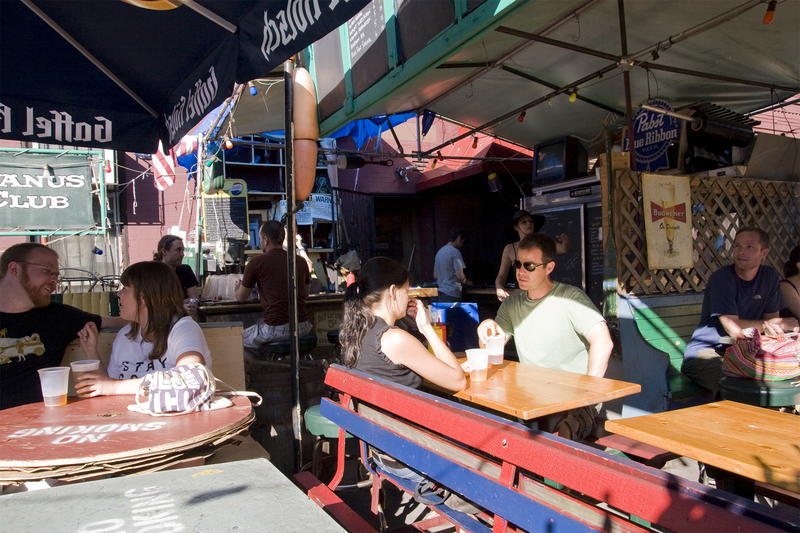 One of Gothamites’ favorite things to do in summer in NYC is to take advantage of the best outdoor bars in NYC. 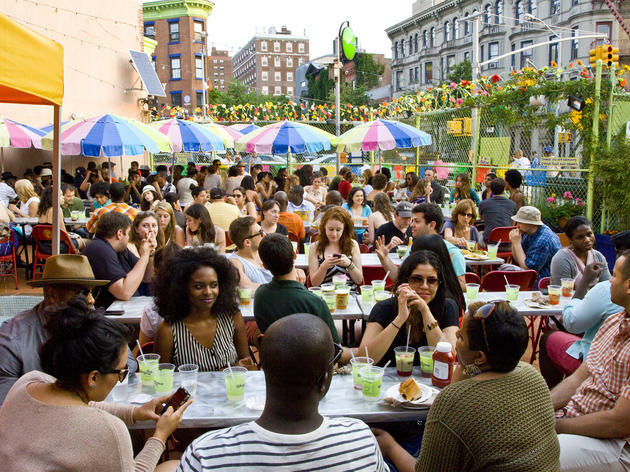 New York has hosts of picturesque gardens, patios and terraces serving up stellar summer drinks for your weekend shenanigans. 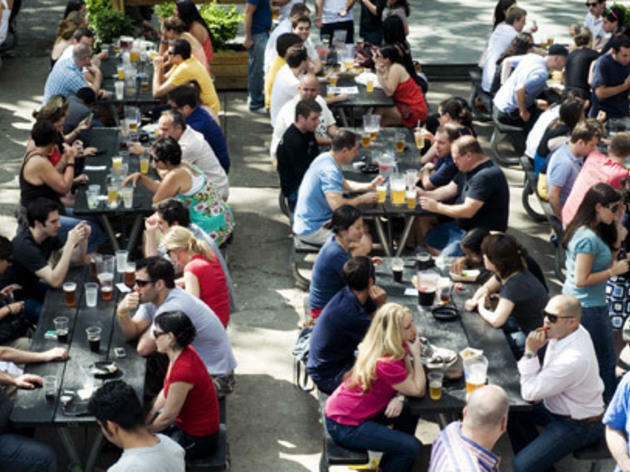 We’ve already told you where to find the best rooftop bars–you know, the non-douchey kind–and floating boat bars, but here are our Time Out-approved picks of the finest outdoor drinking spots for those that prefer to keep their feet on solid ground. 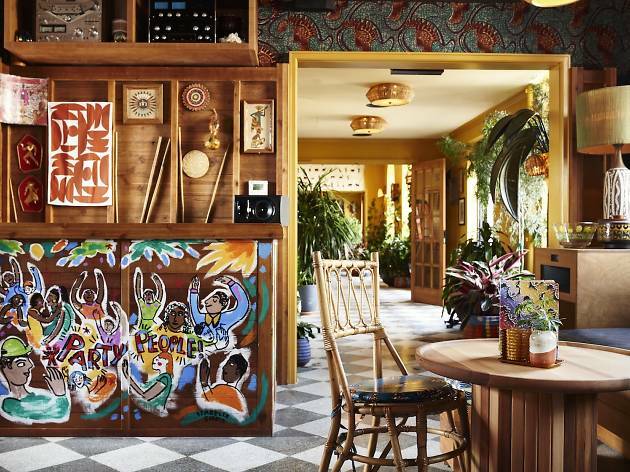 An outdoor oyster bar outfitted in dark wood takes center stage in the lush 1,000-square-foot garden at this NOLA-inspired salon. 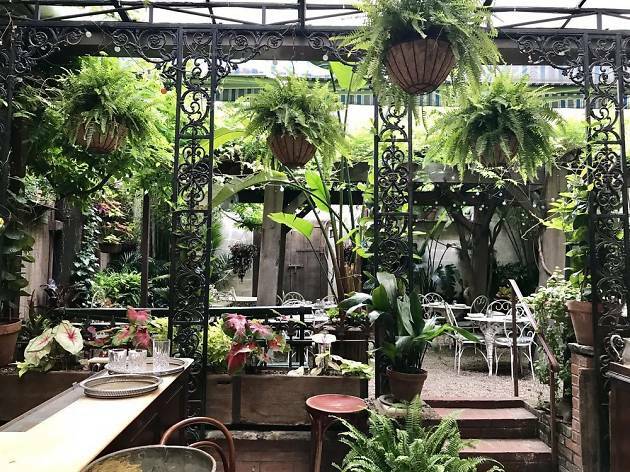 To keep in line with the French Quarter charm, sip cerebral cocktails under the vine-tangled canopy. 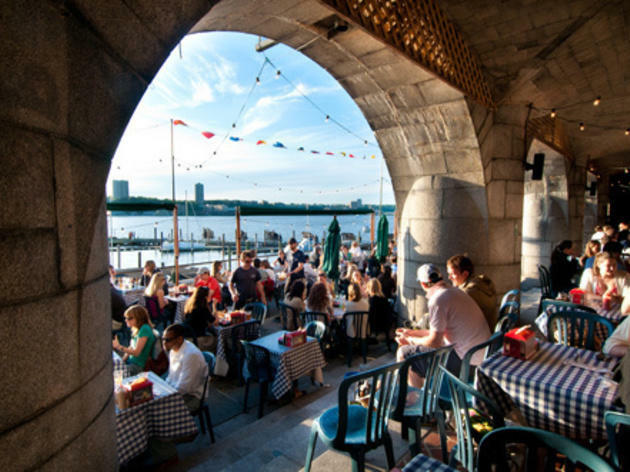 The setting is a pier that's been closed to the public for 127 years, a retrofitted re-creation of the Gilded Age divided into three levels and anchored by a soaring clock tower. 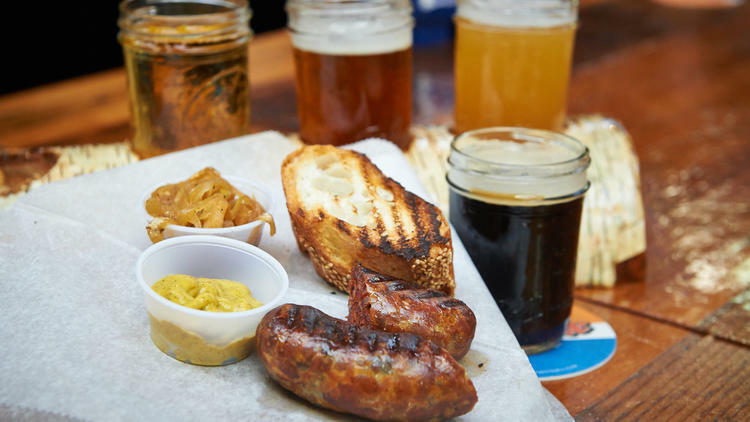 Decked out in nautical relics like pipes from steamship engine rooms, the first floor includes a belly-up bar slinging on-tap cocktails and an expansive beer hall pouring old-world European suds. 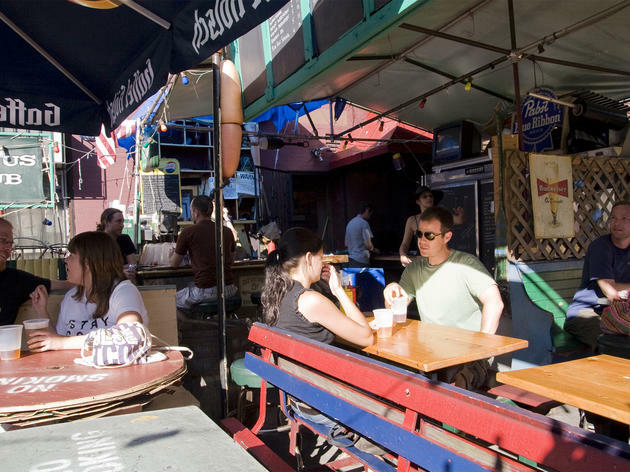 Garage-sale-meets-fraternity-house décor invites an ironic, scruffy crowd to this humble hangout, but the beer-garden grub delivers: wolf down bockwurst hot off the half-barrel grill and gulp a chilled draft of beer. On chilly nights, a glowing potbellied stove takes the edge off. 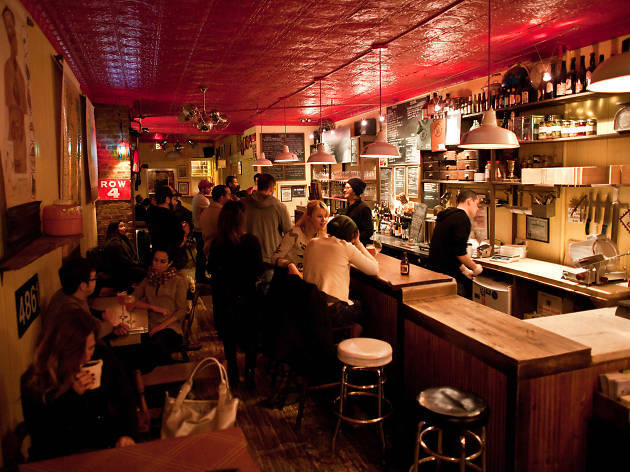 Does this Pan-Latin follow-up to Clover Club measure up? (Spoiler: It does.) 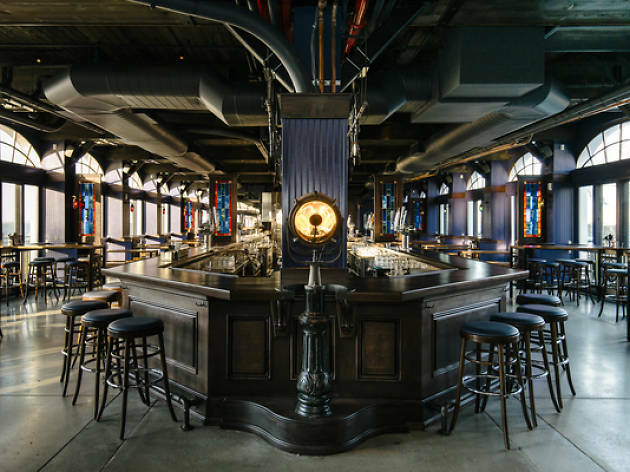 In a mystic-cool space fitting for such bartender worship—rigged with Indio candles, cathedral-pew booths and a golden tin ceiling imprinted with crosses—Mix takes the reins on the cocktail menu and proves she’s worthy of the title leyenda (Spanish for legend). 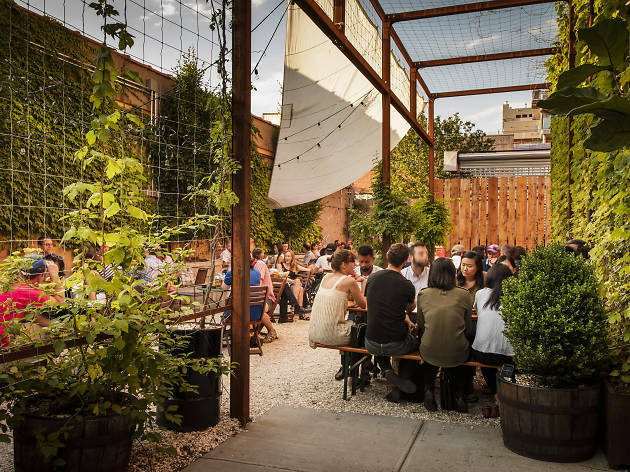 Endless summer afternoons have been spent at this Astoria beer garden–the oldest one in Gotham–swinging back mugs of cold Spaten Oktoberfest, Blue Moon and Pilsner Urquell and listening to live music. 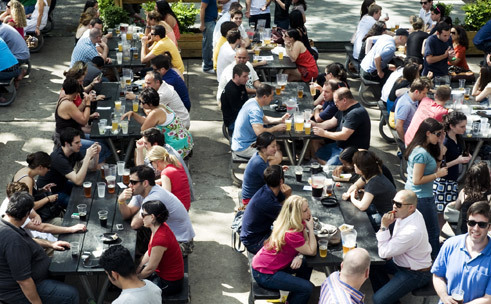 The kitchen dishes out comforting Czech specialties to pair with your pints. 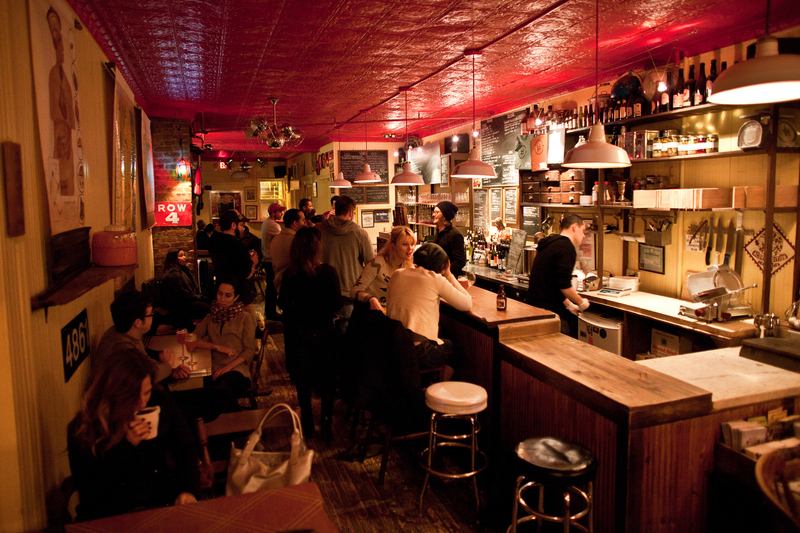 This pint-size Clinton Hill bar from beverage director Rob Giles (Erv’s on Beekman) not only serves expertly crafted cocktails in a casual space, but even if you live a 25-minute Uber ride across the river, the bartender and fellow patrons treat you like you’re an old friend. Mi backyard es su backyard. 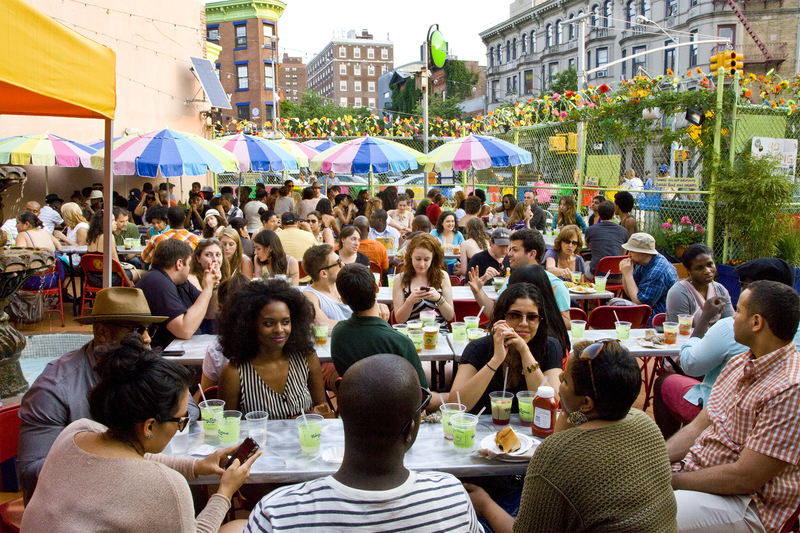 Open seasonally (beginning in the spring), solar-powered Habana Outpost gives your al fresco an eco edge: Its initiatives include rainwater flush toilets and the use of sugarcane and corn utensils. While the Mexican-inspired food and frozen drinks (margarita, mojito) are reasons enough for a visit, on weekends little ones can also partake in supervised, eco-friendly projects. 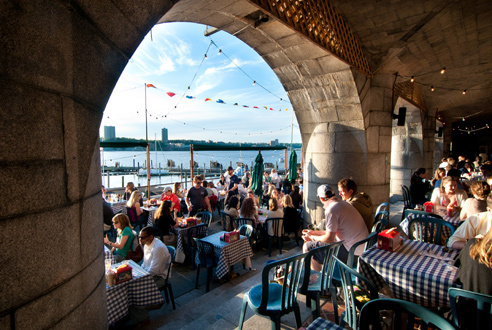 This two-tier riverfront restaurant welcomes young singles and parents with children in tow to happily converge under stone archways and twinkle lights. 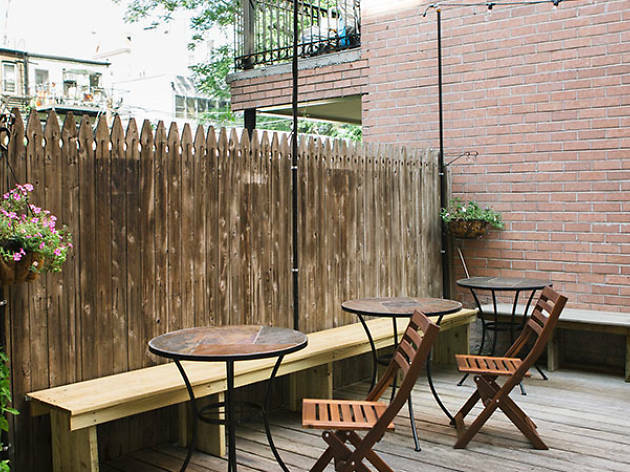 Order from the grill portion of its expansive American menu and toast the sunset on clear evenings, but call ahead when skies seem stormy—the café closes for rain. 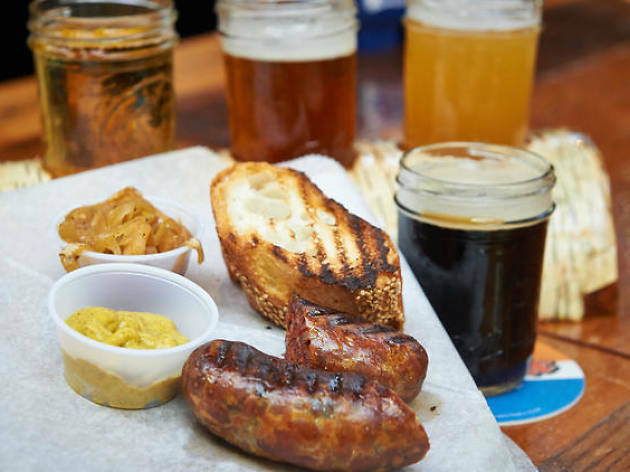 Spuyten's minimal draft offerings, as well as its 100-plus bottle list, are focused mainly on tiny European breweries. 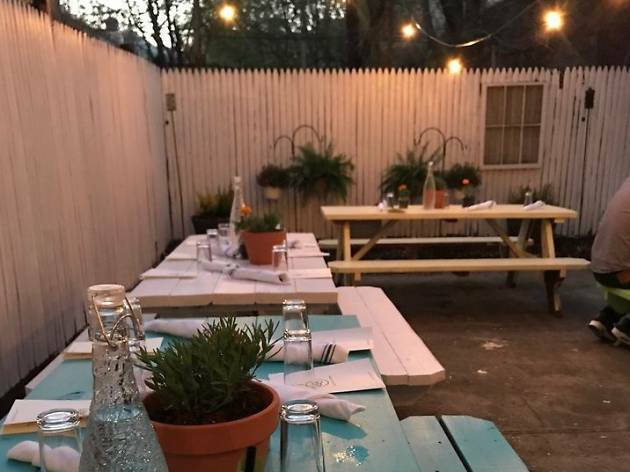 Sample old-world rarities in the backyard with metal tables and chairs, string lighting, tall trees and a vine-covered brick wall. 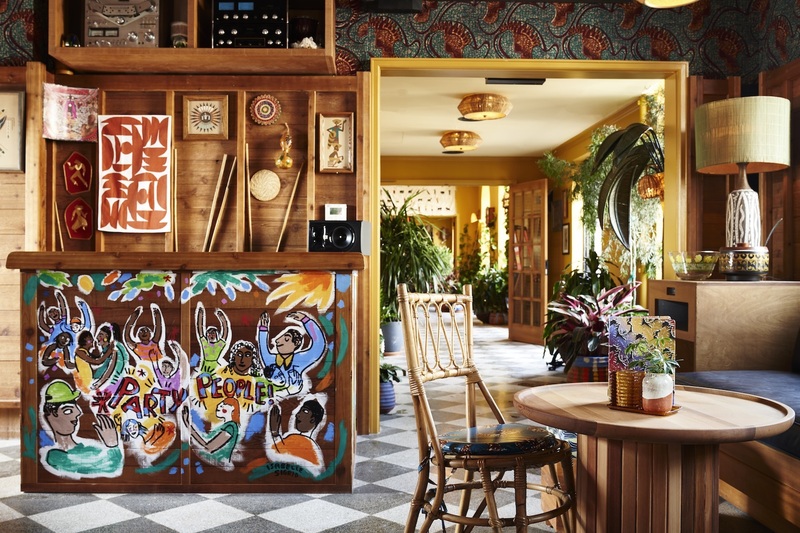 Freehand has yet another hot spot inside its hotel with this Miami-imported rooftop Caribbean bar. 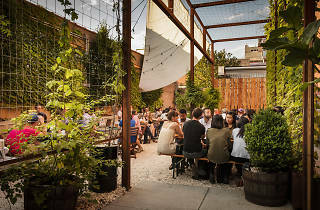 The James-Beared-nominated spot with a wraparound terrace and funky, laid-back decor is serving cocktails like Poppyseed Bagel Fizz and Cocoa Puff Old Fashioned.